The 12th edition of the Indian Auto Expo, Asia’s largest motor show is divided into two events this year. The Auto Expo 2014 (Components) is taking place at Pragati Maidan, New Delhi while the Motor Show is going on at India Expo Mart, Greater Noida, Delhi-NCR. Automotive companies from all around the world are showcasing their latest vehicles and concepts at the show. DC Design, a well known Mumbai- based automotive design firm has also revealed two concept cars at the 2014 Indian Auto Expo which will be available for sale in the Indian market around 2016. First of the two concept vehicles is the Eleron- an open two door SUV. It will be powered by a 2.0-litre turbo petrol engine which will be able to produce 269 PS of power and 360 Nm of torque. 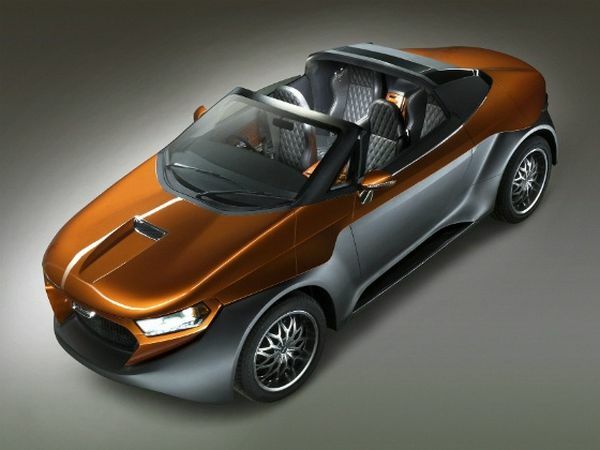 With a top speed of 200 Kmph, Eleron will be capable of going from 0 to 100 in just 9 seconds. The Eleron SUV by DC will be priced at Rs 35 lakhs (about $56000). 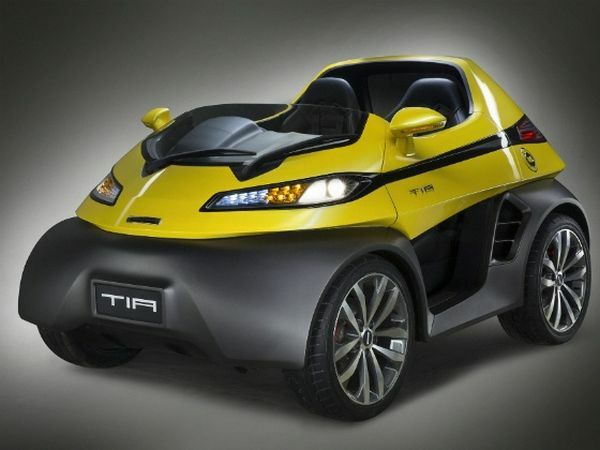 TIA, a two-seater car is the other concept car introduced by DC designs at the auto show. The car is powered by a 1.2-litre turbo petrol engine and the chassis features carbon-composite bodywork and a roll-cage. It is estimated to come with a price tag of Rs 18 lakh (about $29000).